We are constantly working to raise the bar on our services and help you with your Cannabis Grow. Simon has a background of over 10 years’ in organic and conventional farming. He has worked on crops ranging from hydroponic lettuce and orchard horticulture to commercial cannabis production. Simon has owned and worked for cannabis-specific companies for the last several years. He has managed and designed over 258,000 square feet of cannabis indoor and outdoor production all within the previous five years. Simon has also specialized in the design and operations of a wide range of facilities, from multi-million-dollar constructions to cost-effective wholesale field production. His formal education in agriculture has equipped him with Integrated Pest Management Certification and advanced chemistry for crop production. When given the opportunity to work on a client’s project, Simon makes it his mission to save them from costly financial mistakes that are commonly made in the cannabis industry. He has direct access to wholesale products used in day to day operations, saving his clients tens of thousands of dollars per year. Some of his previous clients include Double Delicious Farms, American Farms, and currently runs operations for Vets Leaf, Inc. Simon brings his experience from the Washington and California regulated market to the Aurora Crest. Raymond’s background has focused on the development of marketing products in the Steel and Automotive Industries. and grow revenues, open new companies and launch new products into the market place. Vince Palmieri is a native California, thru and thru. Vince served as Chief Executive Officer for Local.net until it’s sale in 2006. Local.net is a Southern California full-service ASP offering E-Commerce Solutions, Specialized Software Solutions, Wireless and Dedicated Hosting products. From 1995 thru 1999 Vince served as Chief Information Officer for Cole Vocational, a Major Health Service Provider serving the State of California where he created and established its accounting software and systems procedures. From 1985 through the present, Vince is Chairman and Chief Executive Officer for Pal Pacific Incorporated. 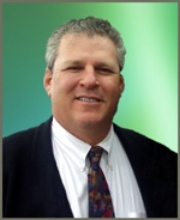 Vince holds several Patents and has an extensive 40-years experience in Accounting, Operations, UNIX, C++, Linux, Specialty software and High-End Commercial E-Commerce Solutions such as Shop Zone and SBT. His work experience includes Business solutions for Ford Motor Company, Ricoh Electronics, Hewlett Packard, and General Dynamics respectfully. Being a pioneer in the Internet industry, Vince says, “Not only do I recognize the excitement of launching into a new generation of business operations but in the belief that there are those who can benefit from the medical advantages of Cannabis”. Let his experience and expertise catapult your cannabis dreams to the next level.